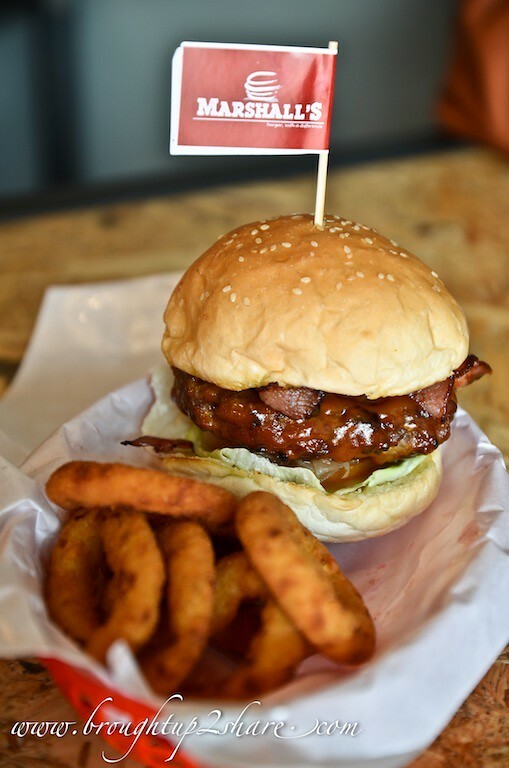 The burger culture in Malaysia is no longer dominated by major fast-food chain in town with many independent burger joints joining the burger rave. The popularity of burgers remains on top despite many judgmental thoughts of fast foods like these would leave quite a flimsy aftermath in our body and the menu could get boring. Well, not anymore in a “today-burger joint”! Well, not just another burger joint. Really. Not as simple as that. Who are we talking about that has just landed not long along from Pearl of the Orient (Penang) to Subang Jaya SS15? 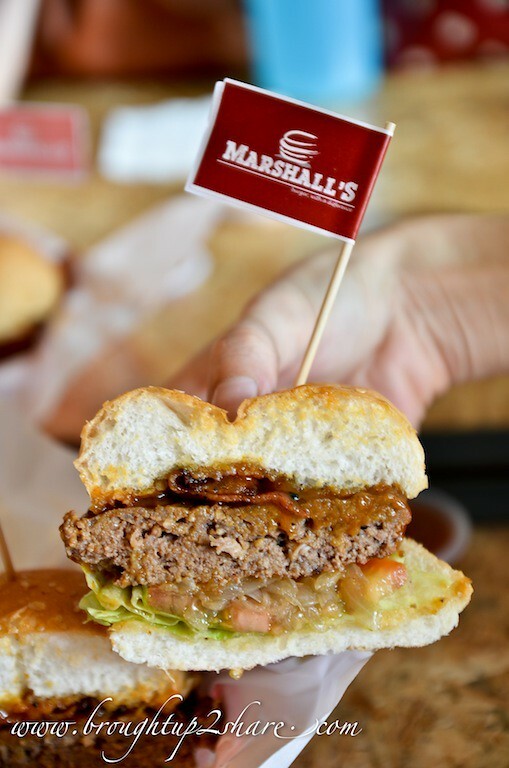 Despite the mushrooming of many burger themed outlets, Marshall’s Burger is still slicing straight to the meat of the matter. So, hats off to this new burger outlet of today. Also, we are not exactly getting our cravings for our burger of choice settled so easily nowadays at typical fast food joints, do we? Difficult on our wallet, same old selections, you name it. 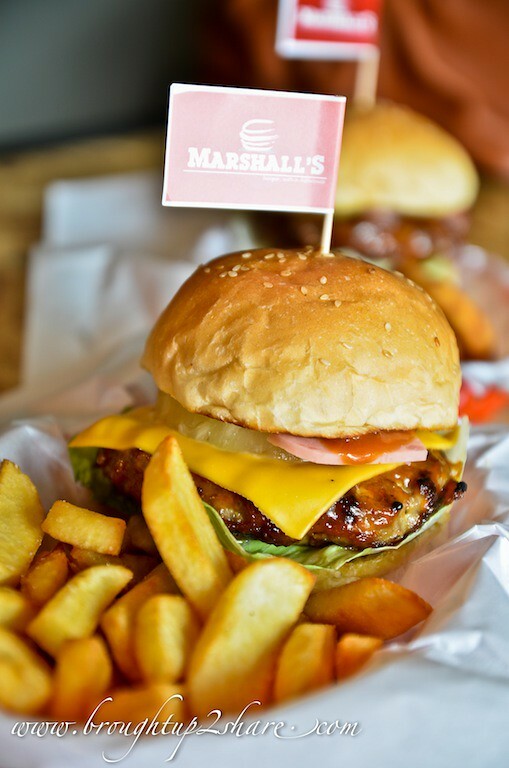 At Marshall’s, they offer in-house made patties from imported beef, daily fresh pork patty and chicken thigh. 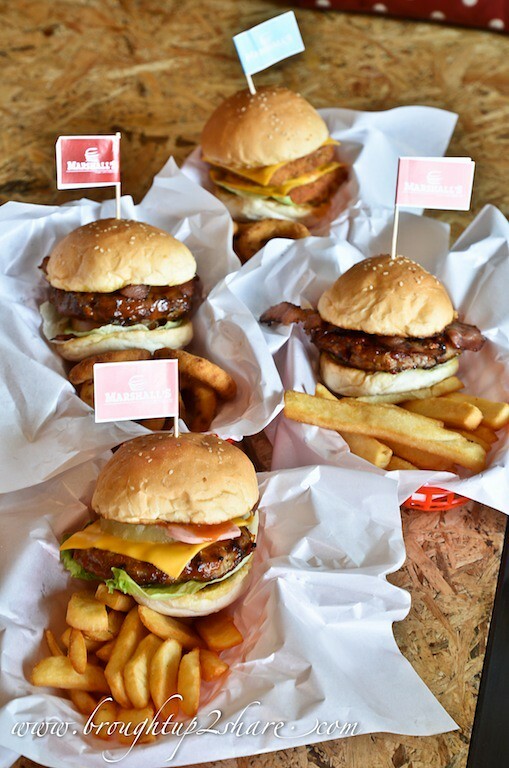 Serving humble juicy burgers by getting all burger basics right, we personally think their burgers have nailed it, in terms of locking the juiciness of the patty. So, wave goodbye to frozen patties, MSG & preservatives! Yay! 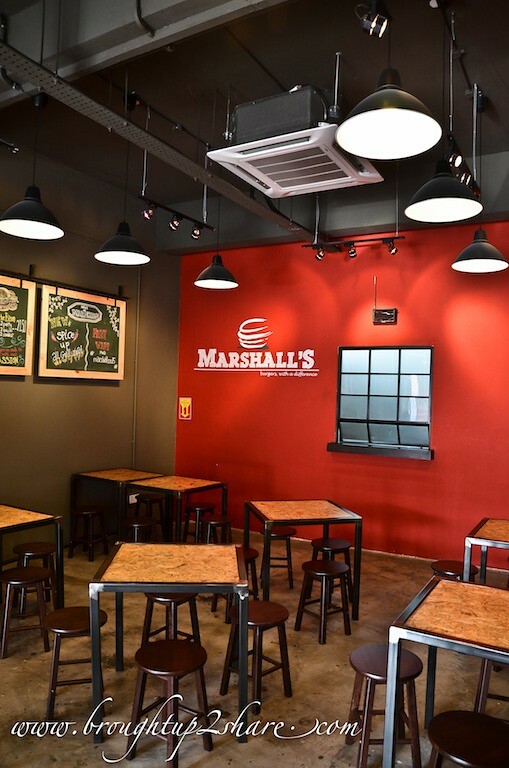 We were really surprised learning that Marshall’s actually started off as a roadside burger stall in Pulau Tikus, Penang selling burgers with precessed meat patties initially. 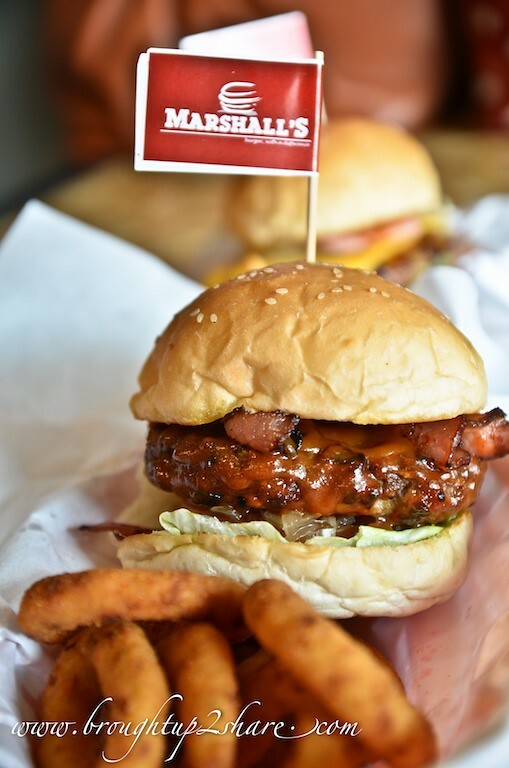 When they finally kicked off for their burger venture in 2012 where they introduced their famous pork burgers, the overwhelming response in Penang have made them decided to bring more of this delicious burger options to Klang Valley! All burgers come in a set with side of either Fries or Onion Rings with a soft drink that you can pick from their fridge yourself. 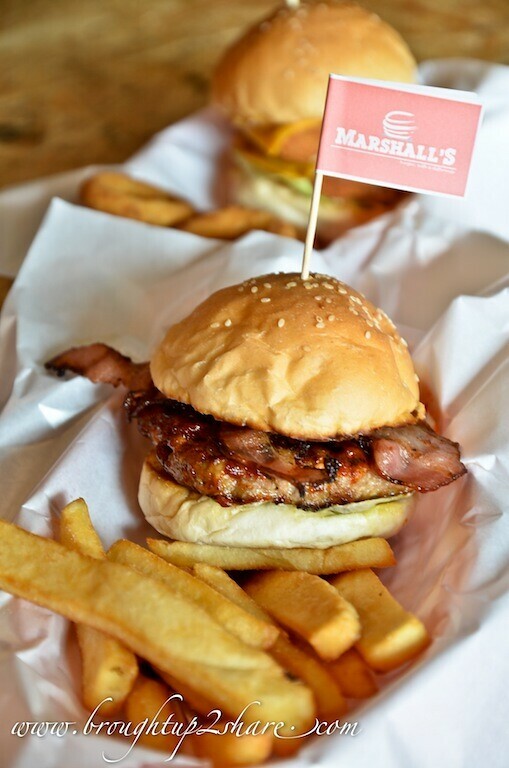 Another plus point that we love about Marshall’s was, they introduced spicy burgers! 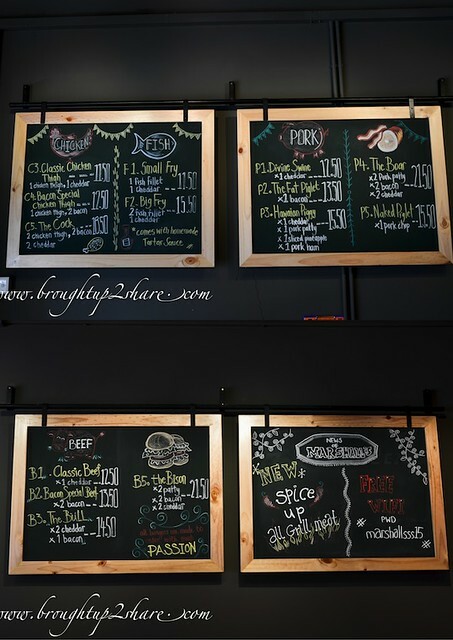 FYI, Spicy burgers are available in pork, beef and chicken meat, but not fish. No additional charges for the spicy version. What shall we say? All burgers are grilled to just the right perfection that locked the juiciness of the patty. 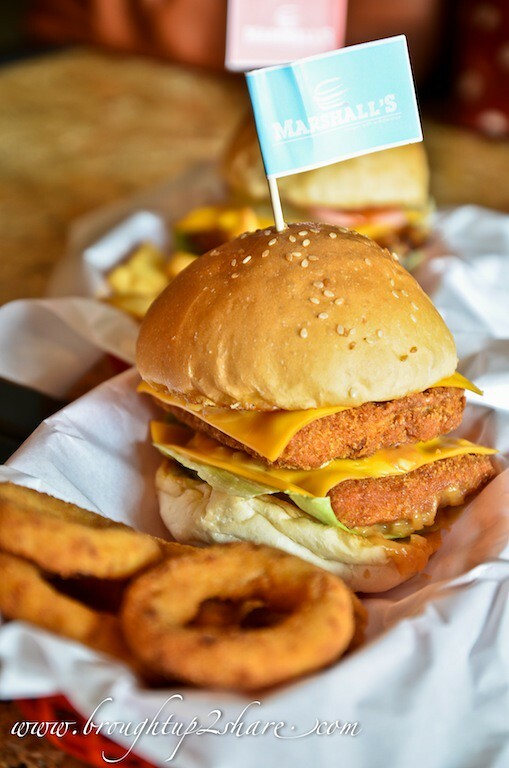 And if you opt for the spicy sauce that is well-infused into the patty, it would be a new favourite for strong-flavoured person as it was well-suited with our local tastebuds. Pork patty with 2 slices of bacon. We decided to have this version in their homemade spicy sauce. 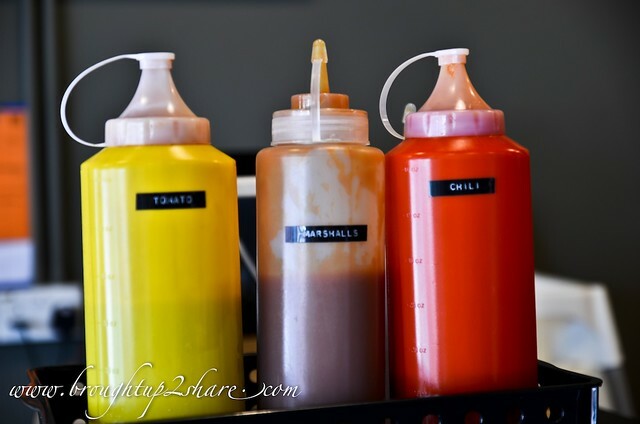 Sweet, spicy savoury sauce. 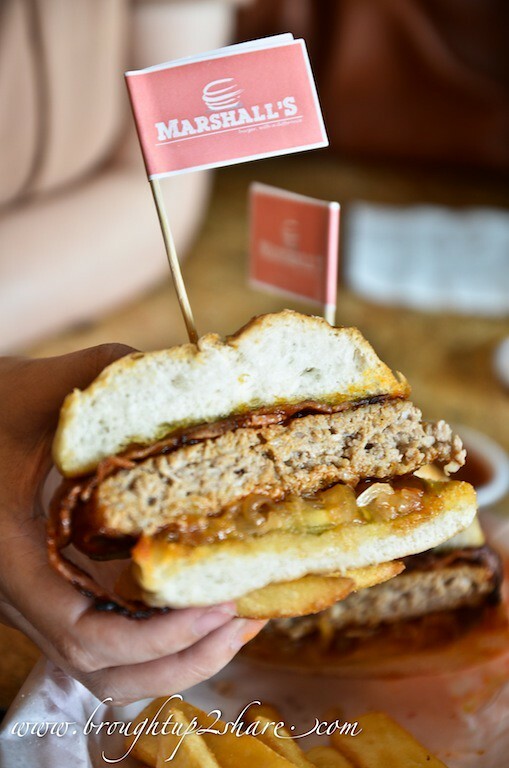 The juicy pork patty was such a perfect match with the crispy bacon. Oh, we love pork burgers! 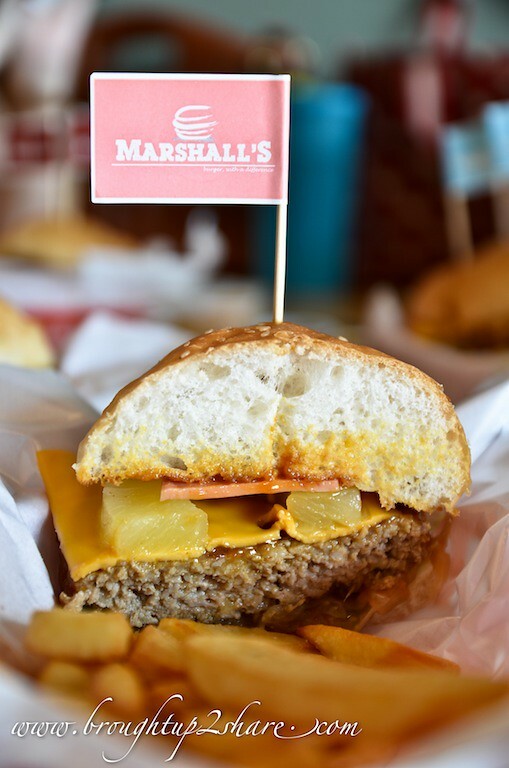 Talk about the combination of juicy pork patty, cheddar and a sliced pineapple. Never think twice when ordering this. The combo of sweetness from the pineapple that also tenderizes the meat, it’s a tropical match with the pork. The patties stayed deliciously moist and was topped with 2 slices of bacon. A comfort food most people would love, especially beef lovers. 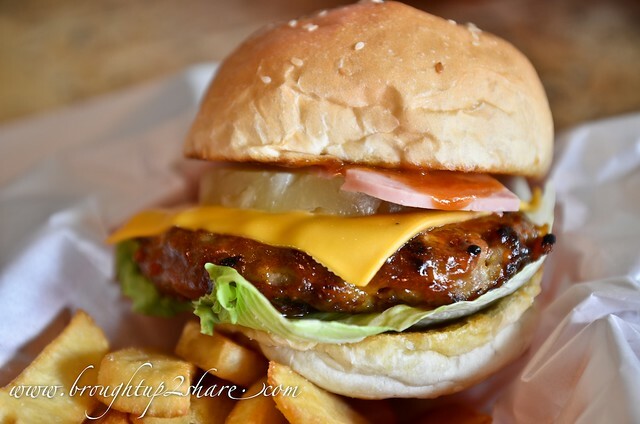 The beef patty is nice to eat however the burger is just average and doesn’t taste as good compared to other joints. 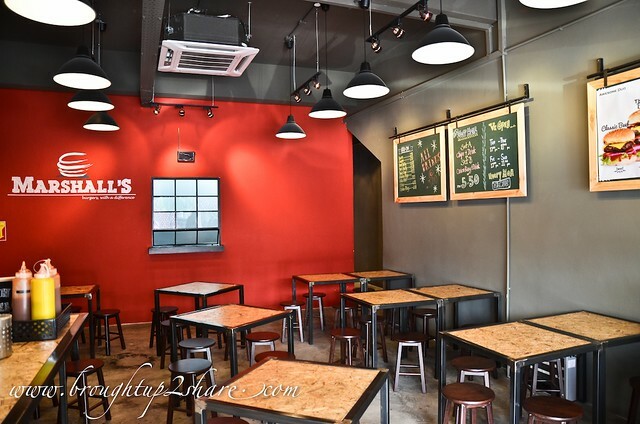 On the flip side, it is the first ever burger outlet in ss15 without refillable drinks. Dissapointing in my opinion.